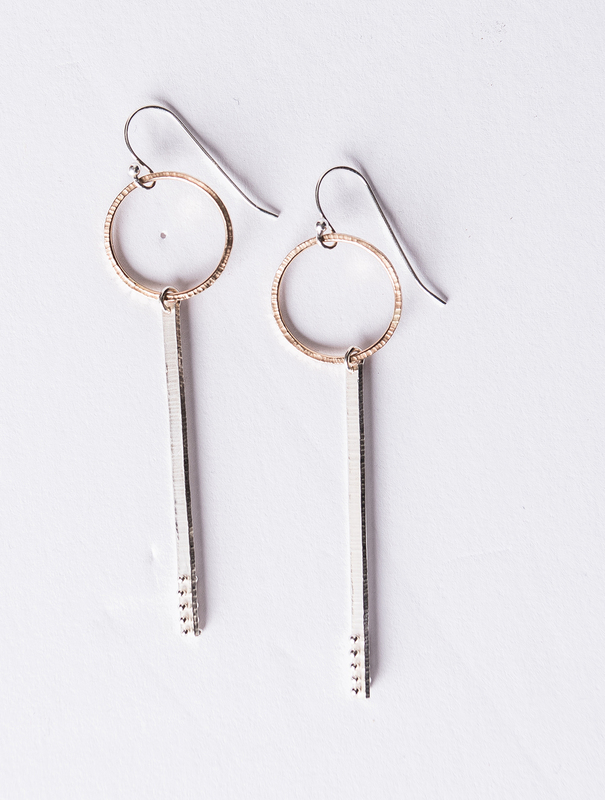 Textured ring with stick earrings have sliding flat piece. Texture etched throughout. *Approx .75" wide and 2.5" long.